User groups like students, home makers, retired personnel and job-seekers often want to do data entry jobs as temporary employment. These jobs do not require money for investment and you can make decent regular income. Ever since we published an article on how to earn money from online work, we have been receiving many queries from our readers. Most of the readers ask about further details of various methods of earning money. So our team will publish a series of articles on these topics. 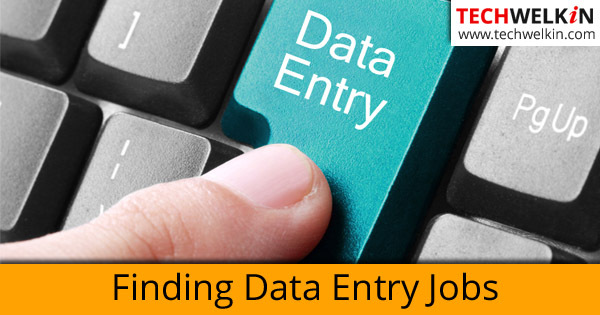 Today we are beginning with the data entry jobs and how to get data entry jobs. These jobs are popular among people who do not possess a specific skill set. Also, of course, those who want to work part time, they also look forward to find data entry jobs so that they can earn while staying at home. Data entry jobs are also suitable for students, home makers and retired personnel. It is always better to stop wasting time and make some good use of it. You don’t need a specific educational qualification. Even if you’ve done only high school, you can do these jobs. Also, no monetary investment is required for data entry jobs. The good thing about data entry jobs is the that you can do them at your own pace. The more you type the more money you make. However, some of the tasks are time bound and the employer would expect you to finish the work as soon as possible. Therefore, it is always better to learn typing so that you can quickly finish jobs. Now let’s see the types of data entry jobs that are available on the Internet. You can find data entry jobs to earn money from internet while working at home. You must have seen captcha —but many of you might not know what captcha is. When you fill an online form, often you’re asked to fill a distorted number or text shown in an image. This is done for the security purpose and to keep the automatic software (called bots) from fill spurious entries. Because automatic scripts find it difficult to understand captcha, human beings are deployed to read and fill captcha entries. When you get a captcha filling data entry job, all you need to do is to fill a small form and the captcha associated with it. You get paid for each form you fill. And how much can you earn from captcha filling? Well, practically speaking, captcha filling can make you $400 to $500 per month depending upon the time you give and kind of work you get. Image transcription involves reading text from an image and typing it in the computer. Although there are many Optical Character Recognition (OCR) software out there —but still humans can do the best image to text conversion. Such work is available more in non-English languages because there are lesser number of good quality OCR software for non-English languages. Payment in image transcription varies depending upon the language and the quality of images. You will be paid more money if there are lesser number of people out there who know the specified language and are willing to do the transcription job. If the scanned image is of bad quality (i.e. it is difficult to read) you may be given higher payment. Image transcription and data entry can fetch you even a thousand dollars every month if you’re a good typist. There are companies out there who need to capture structured data from paper forms into the computers. They will hire you and give you a stack of paper forms filled in by their customers. You would need to read these forms and enter data in an online form. You may also be asked to do online form filling with random data. This is done just to enter spurious records in a database to inflate the number of entries. As we explained the image transcription, audio transcription is a similar job. The only difference is that in audio transcription, you will listen to an audio file and type what you hear. In order to do this, you should have good practice of understanding various accents. You might know English language very well, but understanding various English accents (like American, Australian, English and Scottish) is an altogether a different story.Writing subtitles for movies, documentaries and TV serials is an example of audio transcription. You can get audio transcription data entry jobs in any language and you should pick the jobs in a language that you are most comfortable with. Audio transcription and data entry pay good amount of money because it requires the “listening” skills. Photos and pieces of text require captions and headlines. A captioning data entry operator sees photos and give them appropriate captions. Writing catchy headline for a piece of text (like a news item or an article) could also be part of this job. Usually news channels and print media houses hire people for such jobs. These job can be done at home as well as in office. You need to be creative with words do to captioning jobs. It’s not entirely a plain data entry job. You need to be well-read, aware of current affairs and wizard of words! Of course this job pays you much better than basic data entry operator’s job. There are plenty of options available online for utilizing your skills for making money. All the companies need to know what their customers are thinking. So there are companies which gather such customer opinion for their corporate clients. These companies will send you invitation to take part in surveys and fill the required form. You should honestly fill the form and give your opinion on the questions asked. You will be paid irrespective of what opinion you give. 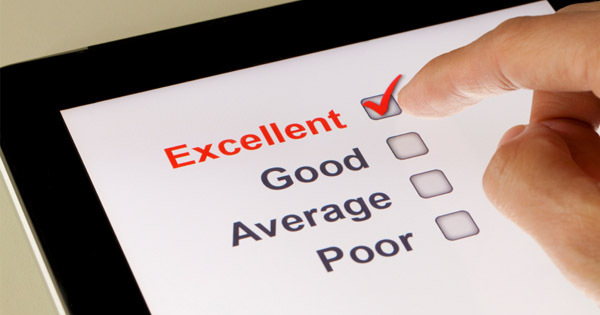 Responding to online surveys are a good way to make quick bucks. Some of the good online survey websites are The Opinion Panel, OnePoll, Toluna, MySurvey, Vivatic, YouGov and SurveyBods. You can go and register on these websites. After registration, these websites will keep on sending you survey invitations by email. You need to fill up the surveys and get your rewards. There was a time when medical transcription was a booming business. It is still a vibrant industry albeit not so very well advertised. Medical transcription is a specialized form of data entry. We would advise you to first do a course in medical transcription and then get into jobs. These jobs pay you very well. You would need to read images or papers with medical text on it. Then you will need to type it all in computer. You need to be comfortable with medical vocabulary and should have penchant for correct spellings. Being medical in nature, the text you produce is critical and requires high levels of accuracy. Medical transcription is one of the best paying data entry job, if you can do it! In this type of jobs, you don’t really type any data. Instead you get an un-formatted document and you would need to properly format it (for example, using Microsoft Word). Many data entry jobs, like transcription, produce plain data and sometimes this data needs to be formatted for better presentation. How do you format a plain document? Well, you may be asked to apply formatting features like paragraph alignments, font size, font color and font style etc. If you have good command on language you can take up the tasks of correcting mistakes in the given text. The mistakes will be that of spellings and grammar. Although Microsoft Word can identify most of the spellings and grammar mistakes but sometimes it gets confused and a human being is required to review the document. Obviously, you must have excellent understanding of the language in order to do such editing jobs. But they pay well! In the end, you can also look for the very basic data entry jobs. You get printed books, magazines, papers and you need to type it all in your computer. You may get up to $2 per page for such tasks. Some employers prefer to pay by per word rate also. Payment for these data entry jobs is low and you will be able to make decent income only if you’re an experienced typist. These were some of the ways of doing data entry jobs online. We hope you will find this guidance useful. If you know of any other jobs related with data entry, please let us know. Also, please share your experience about such job. Thank you for using TechWelkin! How Much Money Does Mark Zuckerberg Earn? thanks a lot sir for your advice. I hope to get one soon. could you help me please. I have been trying to find an online job for a while now and I find typing and data entry very useful to me. I have tried some but no success. I looking for income to support my family. Looking for a full time home based Data Entry job. Experienced in all the fields. Want to start as soon as possible. I have my own Laptop with broadband connections at my home. Please help. Sir I am interested in doing such type of job. Please tell me for that what i have to do. Hello! sir, I am a student. I would like to know weather is there any genuine jobs in your mind which don’t require registration fee. Thanks in advance. It would be great if you could help me earn. Sir I am interested to do such type of job. For that what I have to do? Please tell me. I have computer and internet.